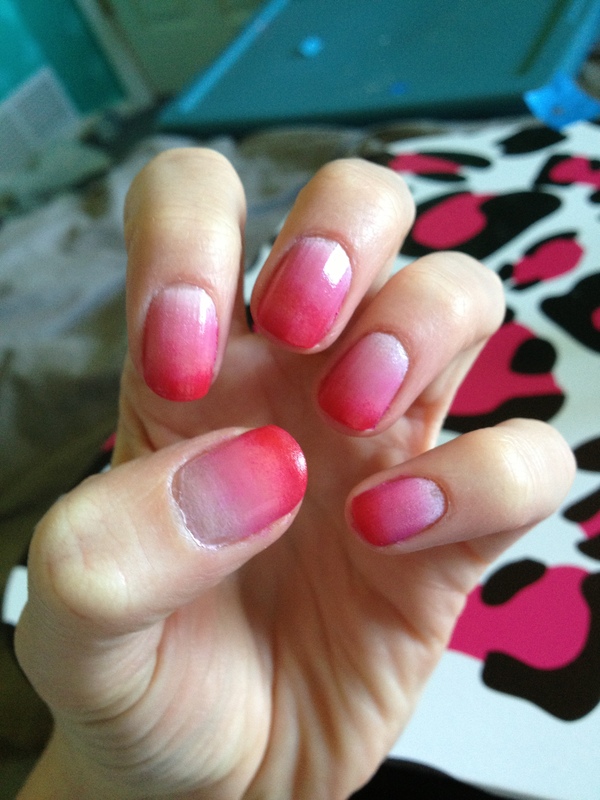 A fellow blogger was interested in a nail tutorial for my pink ombre nails from this post. I figured this was a great opportunity to give it a Valentine’s Day twist! 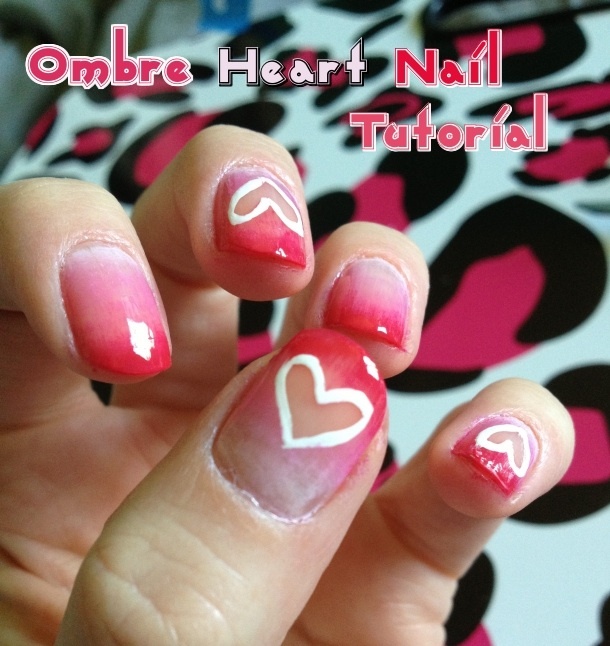 I stuck with pinks and reds for this tutorial because Valentine’s Day is right around the corner, but I have done this with purples and blues and greens too. White Striper Polish, OPI Dutch Tulips, Orly Basket Case & Essie French Affair, OPI base and top coat, Q-tips, a make-up sponge, and nail polish remover. Step Two: Dab on your fingernail and wiggle it back and forth to cover your whole nail. 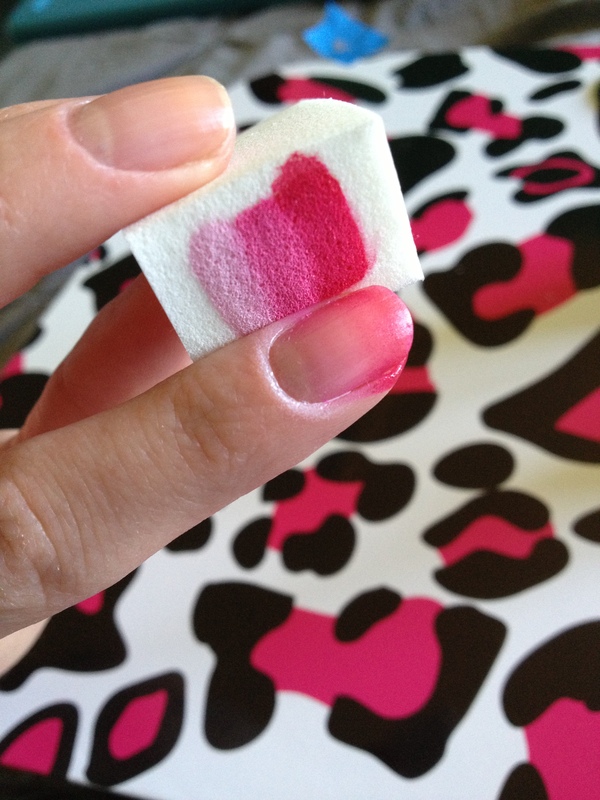 I re-apply the nail polish to the sponge for each finger. It will take a few coats. I usually do 2-3 depending on the colors. Step Three: Clean up around the edges using a Q-tip. 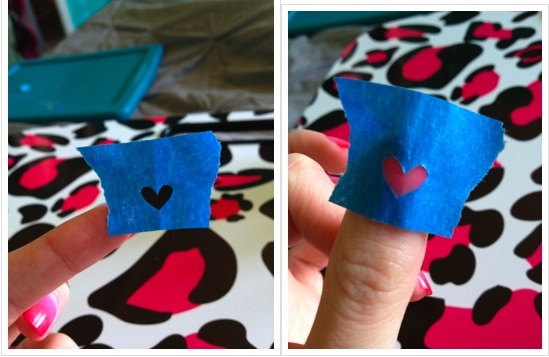 Step Four: Cut out a heart from painter’s tape or whatever tape you have laying around, and when nails are completely dry, position heart on nail. 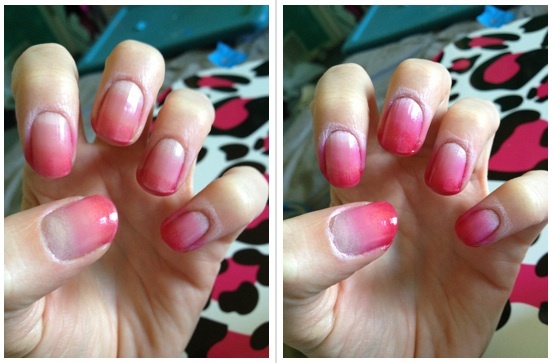 Step Seven: Once dry, apply your top coat and you are done! 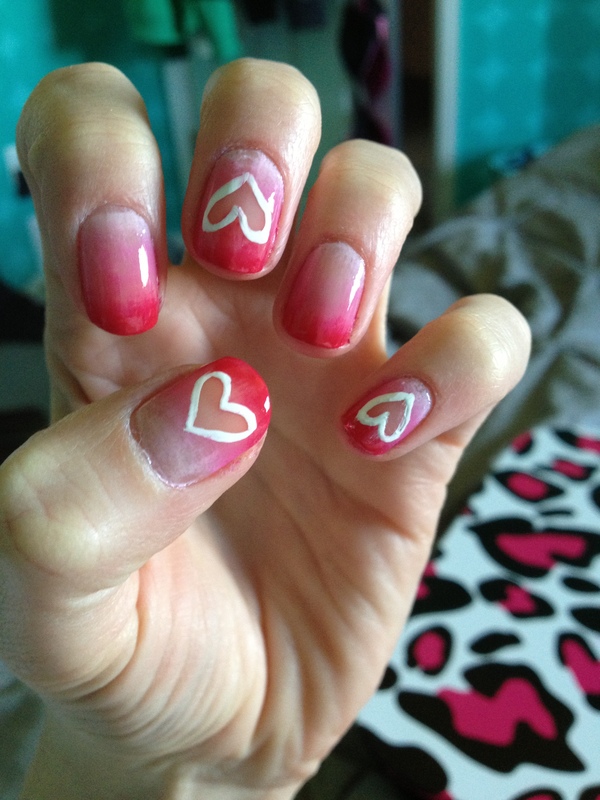 I think this is so cute and will definitely make people look twice at your nails. I tried a little variation of this as well for the people that do not have sponges or enough colors to make this work. 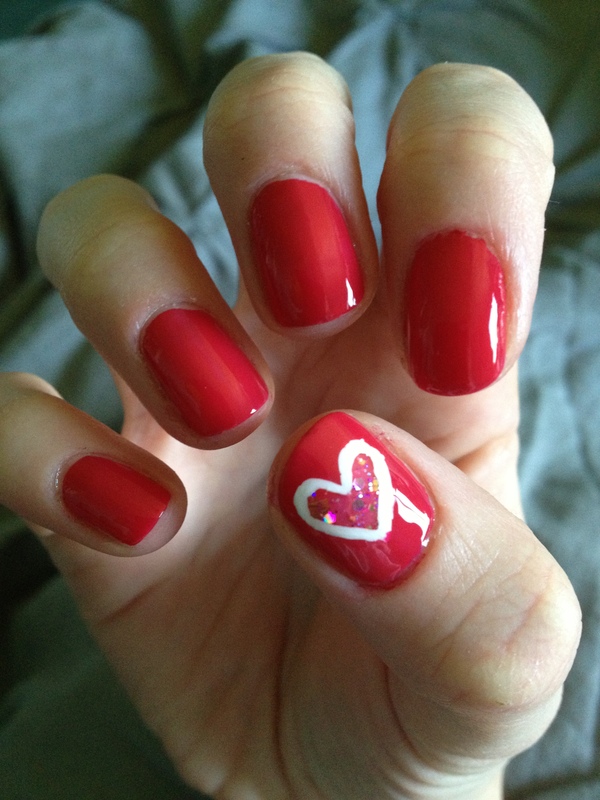 I just painted all my nails a solid color than repeated steps 4 & 5, but this time I kept the tape on and used glitter polish for the heart. ENJOY! I would love to see pictures if you duplicate this in some way!